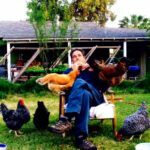 March 29, 2019 | Filed in: Chicken Coop Tour The Garden Coop. 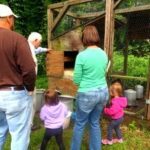 The 2016 annual Plastic Valley Tour de Coop, a totally free, self-led bicycle around chicken coops, gardens, bee hives, hoop houses, and coolest Plastic Valley urban homesteads, happened on Saturday, September 15, 2016. 1,937 folks agreed to ride and look for the coops! 2016 Tour De Coop Photo wrapup page! Got inspired around the Tour De Coop? 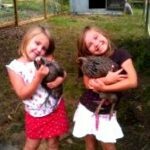 Considering getting chickens? Arrived at the “Before getting chickens” class. 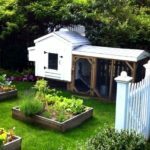 You will notice what’s involved with keeping them inside your backyard, and discover the fundamental needs like housing, food, and maintenance. Want to maintain your existing flock healthy and happy? considering adding more chickens? Arrived at the “After getting chickens” class. 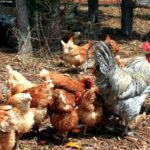 You’ll see how to enhance your backyard, introduce new chickens for your flock, do health checks, and treat some common injuries and illnesses. Both courses are provided by coopster Isabelle. Visit clorofil.org for more information. Coop Goodness – 2015 – It happened! The 4th annual Plastic Valley Tour de Coop, a totally free, self-led bicycle around chicken coops, gardens, bee hives, hoop houses, and coolest Plastic Valley urban homesteads happened on Saturday, September 19, 2015 from 9AM to 4 PM. Search for a photo summary from the 2015 Tour! 2010 coop tour has been backed by Slow Food South Bay, local chapter of Slow Food USA. Slow Food South Bay positively promotes our local food communities to ensure that everybody can also enjoy food that’s good, clean and fair. Click the icon below for more information!